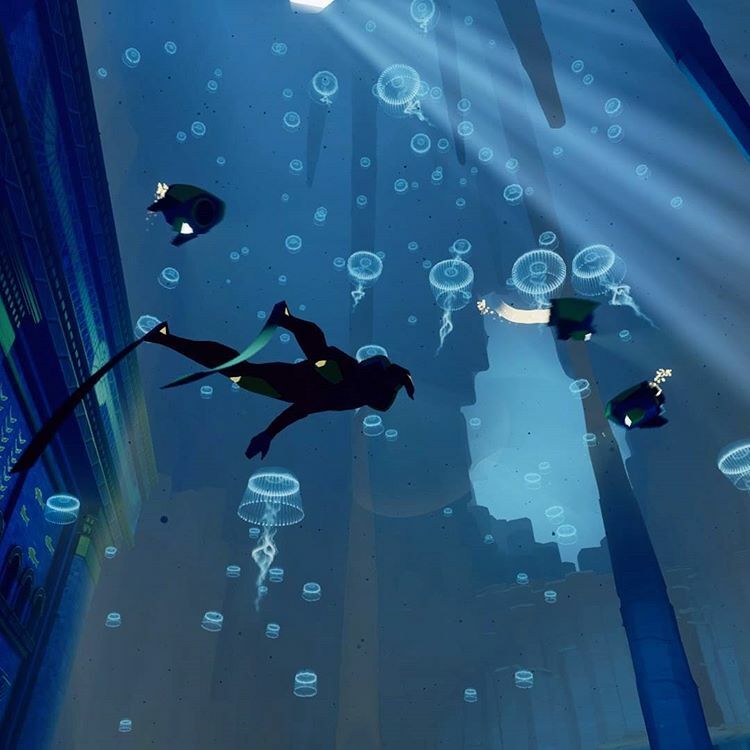 Abzu / ABZÛ is a beautiful, relaxing, awe inspiring game. It has you exploring a vast underwater ocean with plenty to see. Here are my thoughts on it, and find out how to get a free copy I am giving away by reading the review. I read about journalists having emotions triggered by games all the time. “This game made me feel sad” or “It made me feel this, and that”. The only real time I’ve felt anything was with Lunar 2 – Eternal Blue, I felt sadness that the game ended and that my adventure was over. Besides Lunar, I never really felt that with a game, with a movie, yes, especially when Leonardo DiCaprio died in titanic, sorry for the spoilers. I feel amazed when a game raises the technology bar, graphics or game-play wise but that’s a different type of emotion, or frustration when losing time and time again, but again, those are emotions easily triggered. 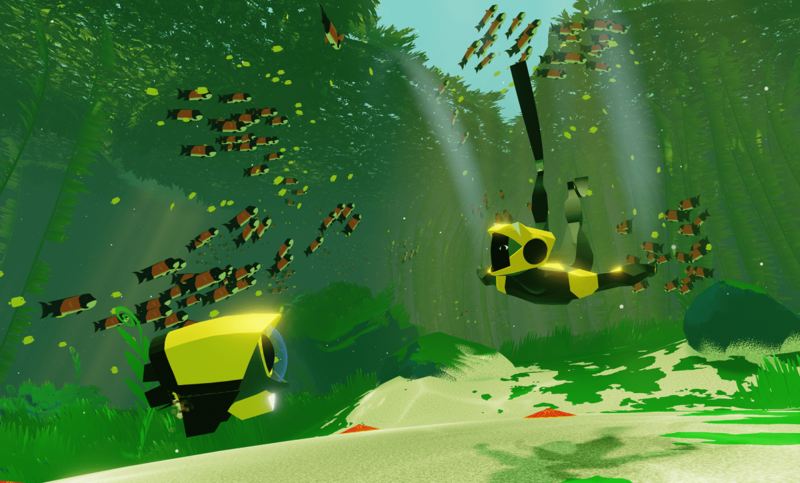 ABZÛ is one of the first games since the 90s that actually made me feel something. kly to jump out and come crashing down into the ocean is a great free feeling experience. It reminds me a lot of Ecco the Dolphin actually. Rules are set to a minimum, explore, trigger buttons and that’s it. You can interact with all kinds of different fish, grab onto a dolphin’s fin and go for a ride. Copy and paste the next set of words and leave them in a comment below to get a free copy of the game “Eventually bits of story start to appear” and it’s a welcome change of pace. t, warm colors are a pleasure to look at. Sound is non-memorable though, but that can be a good thing because I don’t actually remember it being bad either. I had just one problem with a puzzle but it was my fault. Puzzles in general, are not very hard at all, they lack variety.Puzzles consist of looking for ‘triggerable buttons’ scattered all over the ocean, you look for which ‘puzzle stone’ to press and that’s it. The environments (basically levels) themselves, are all different from one another and you can tell a lot of love went into making them. The attention to detail is amazing. This game is actually relaxing to play, I can sit here and just swim away, completing the story again and again, or just relax and take in the view. Through out there are meditation statues, and when triggered you can just sit there and follow different kinds of fish species. All said and done, I can see myself coming back to this game every now and then to experience diving like no other game can offer. Just about everything, the way it feels, jumping out and coming crashing down into the ocean is a great feeling. The different environments, and the relaxing feeling. There was one particular puzzle that had me ‘puzzled’ on how to get passed it. unmemorable music, and it was too short. A great, relaxing, game that you can come back to, time and time again. PREVIOUS POST Previous post: Free Fortnite Alpha Keys – All you need to do is post!